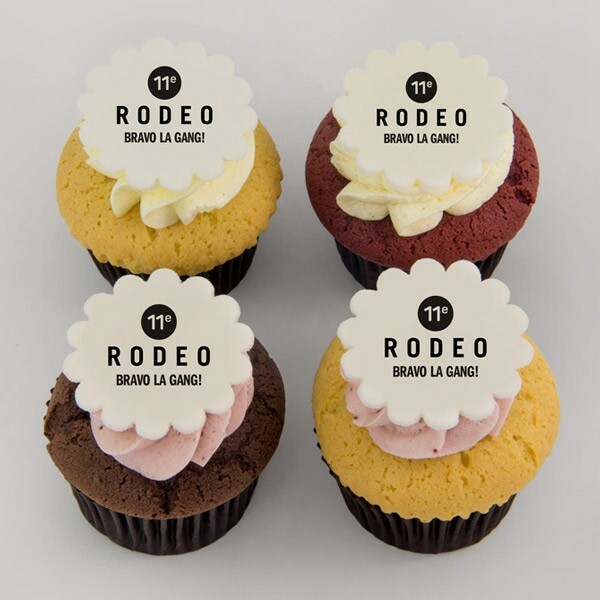 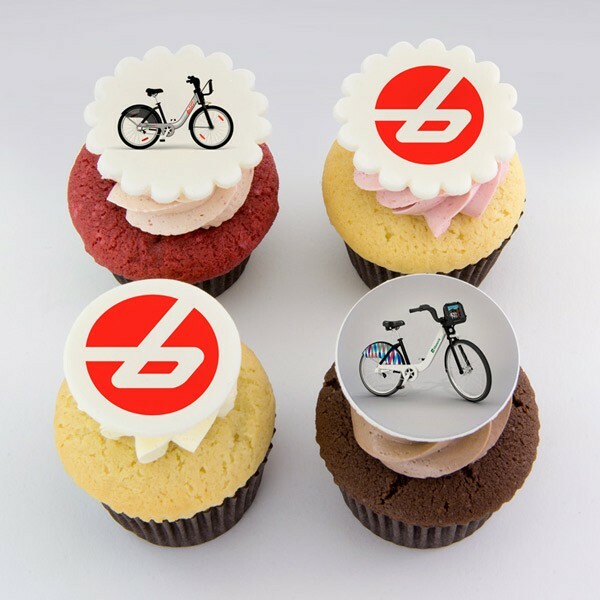 For a corporate event, corporate gift or an employees’ party, my delicious pure butter cupcakes decorated with your logo will leave your customers and employees mouth agape! 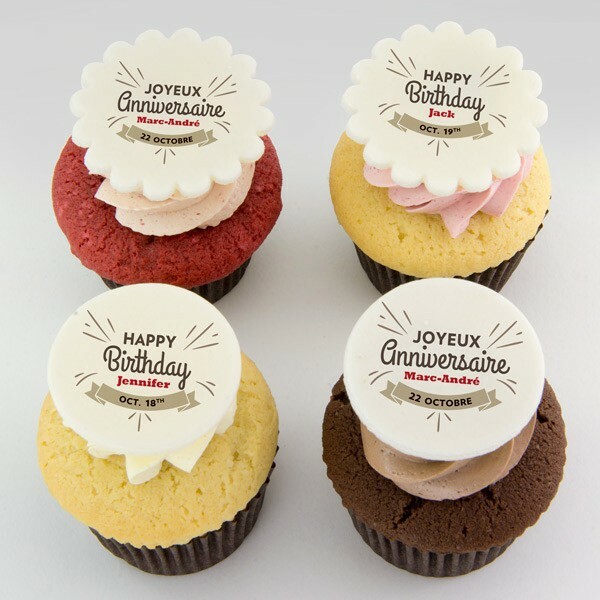 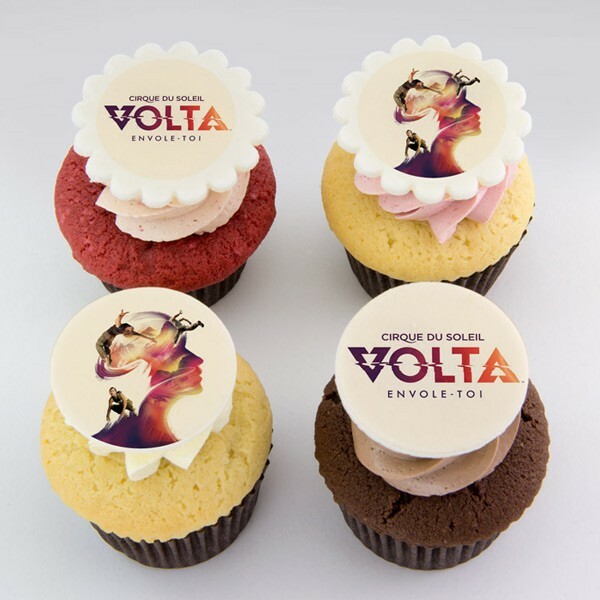 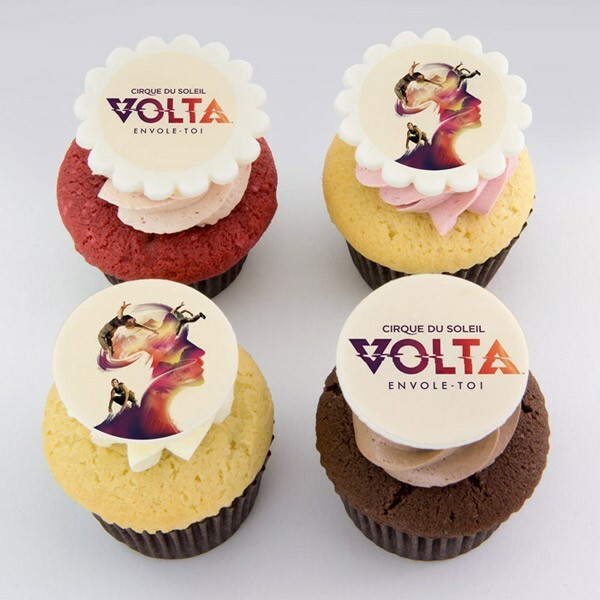 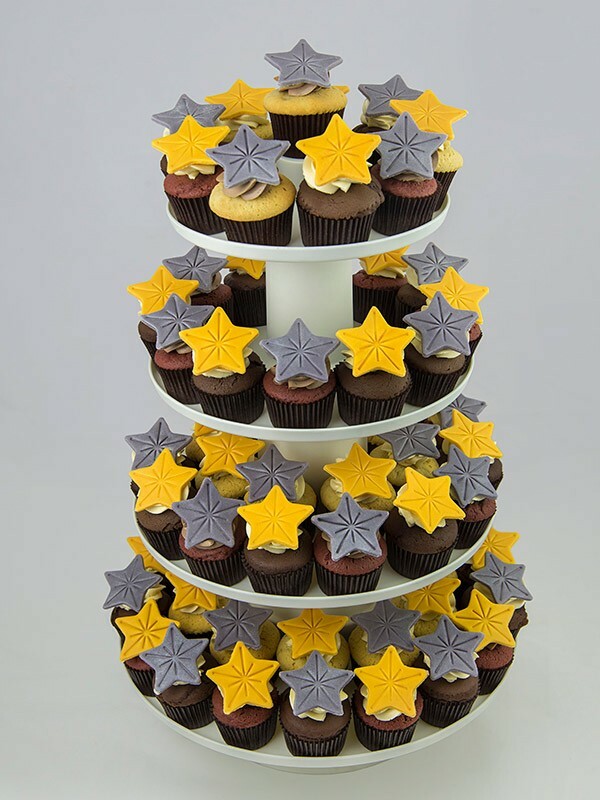 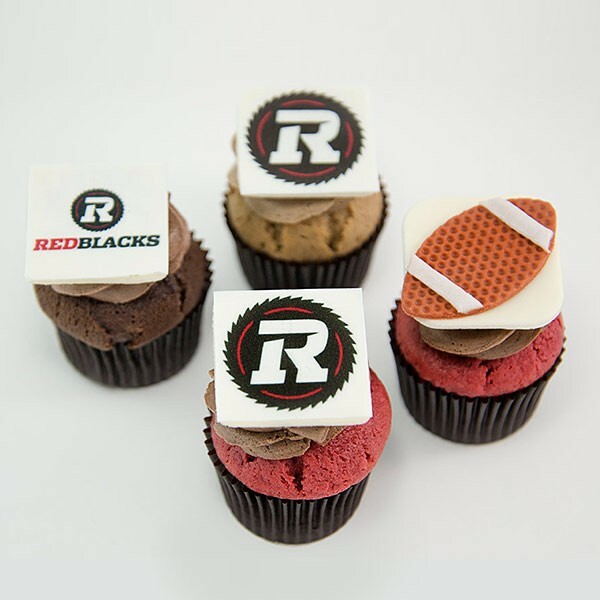 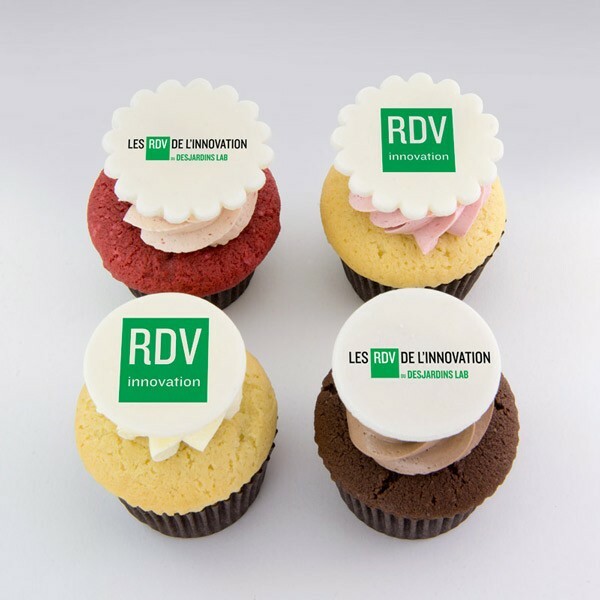 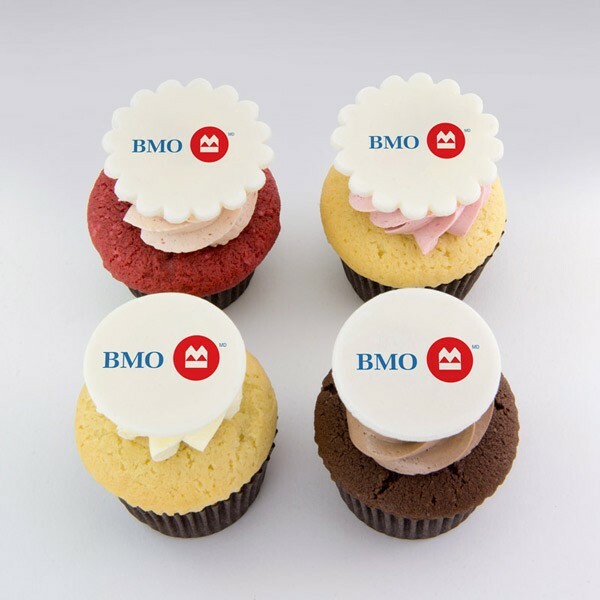 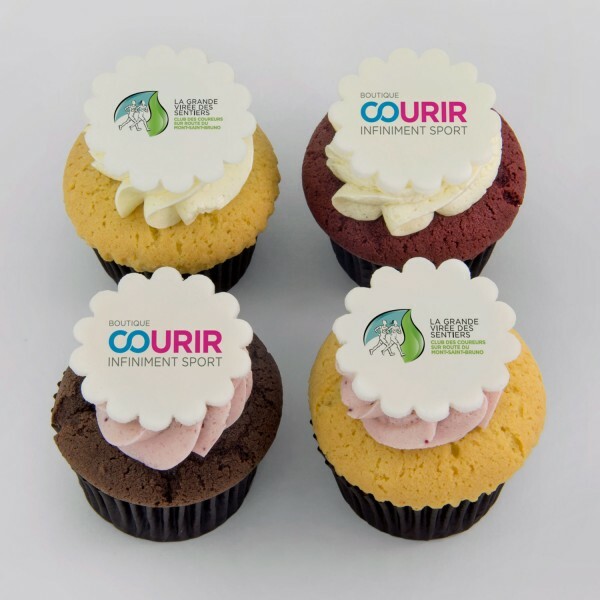 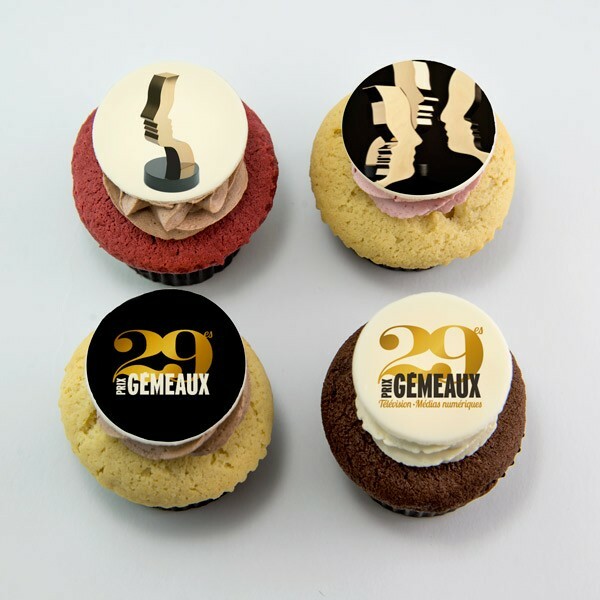 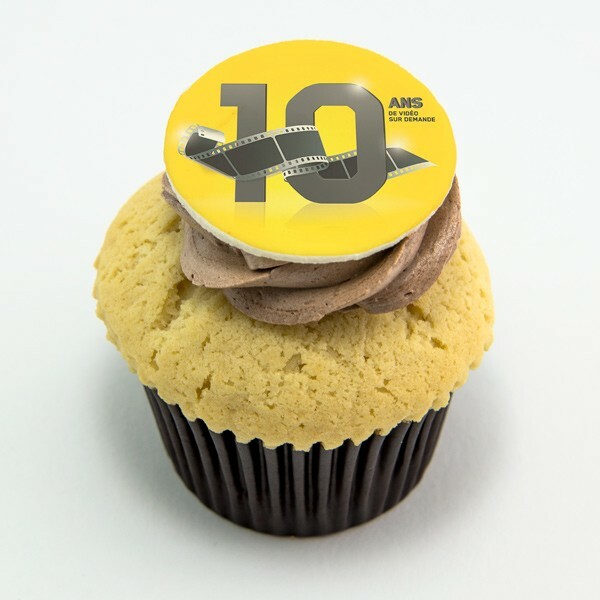 Here are some examples of our corporate cupcakes with edible printing. 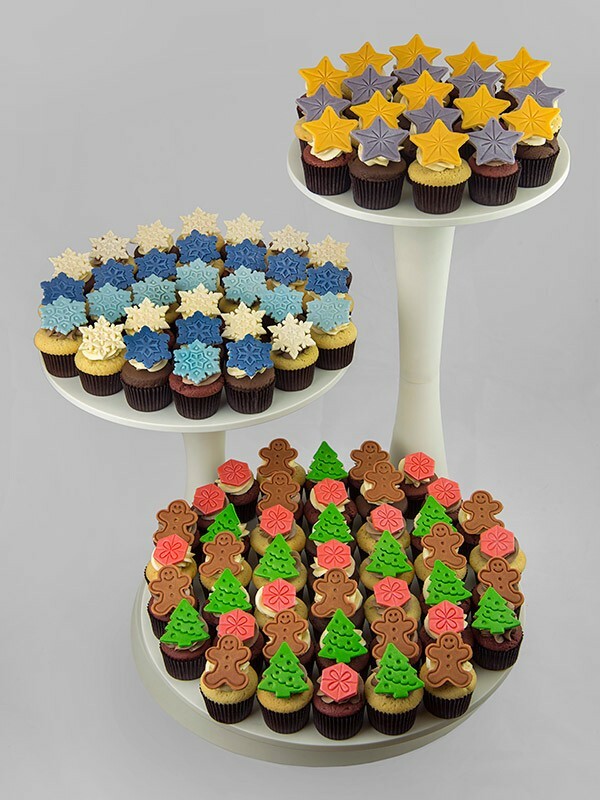 You can also see at the end several choices of display stands that you can rent from me. 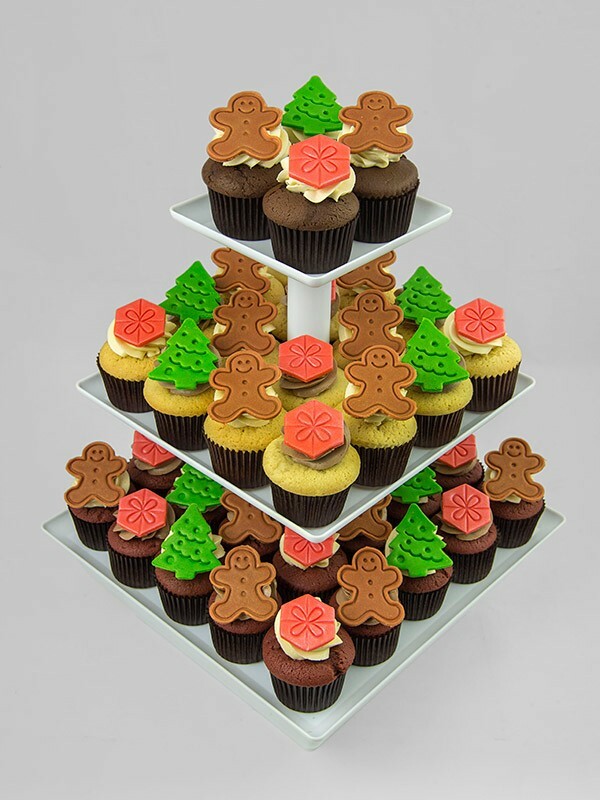 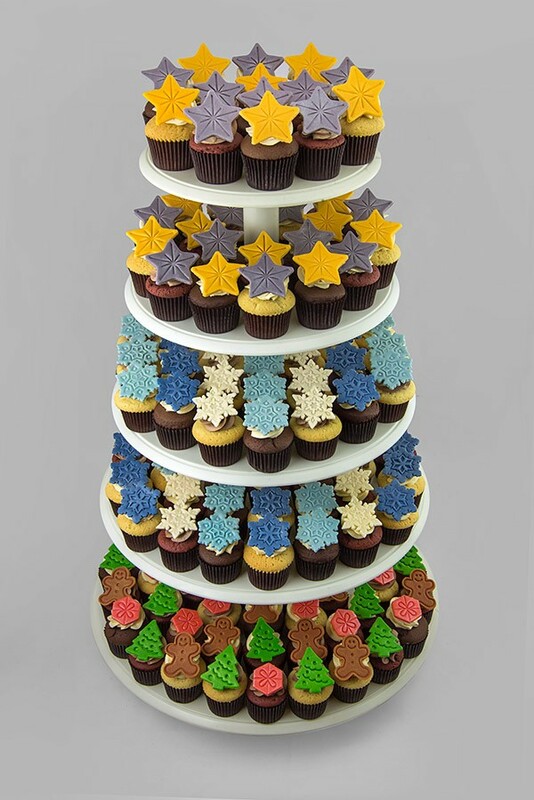 Small cupcake stand - 44 cupcakes Medium cupcake stand - 75 cupcakes Large cupcake stand - 165 to 225 cupcakes 3 stories cupcake stand - 92 cupcakes Corporate cupcake with edible printing on sugar sheet. 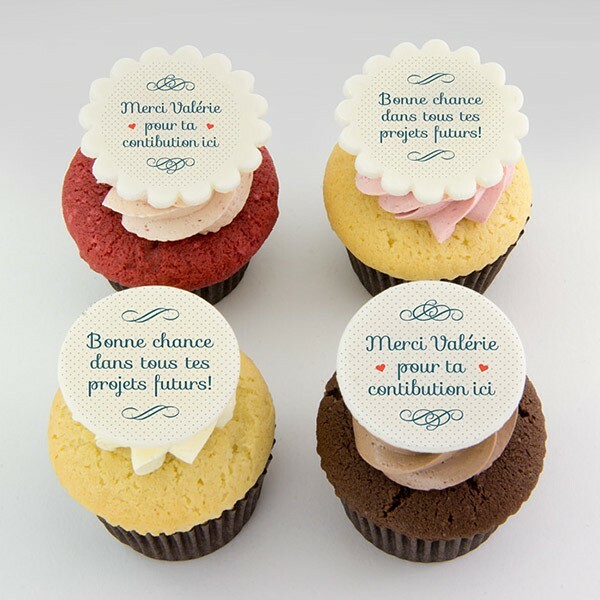 Do not hesitate to write me or call me for a personalized quote!